Board the boat in Fethiye harbour around 18:00. Meet your shipmates and crew. Evening meal and overnight in Fethiye harbour. After breakfast and briefing, you’ll set off to the Göcek area in time for lunch at Tersane Island, where you can see the remains of a Roman and Greek shipyard on the shore. 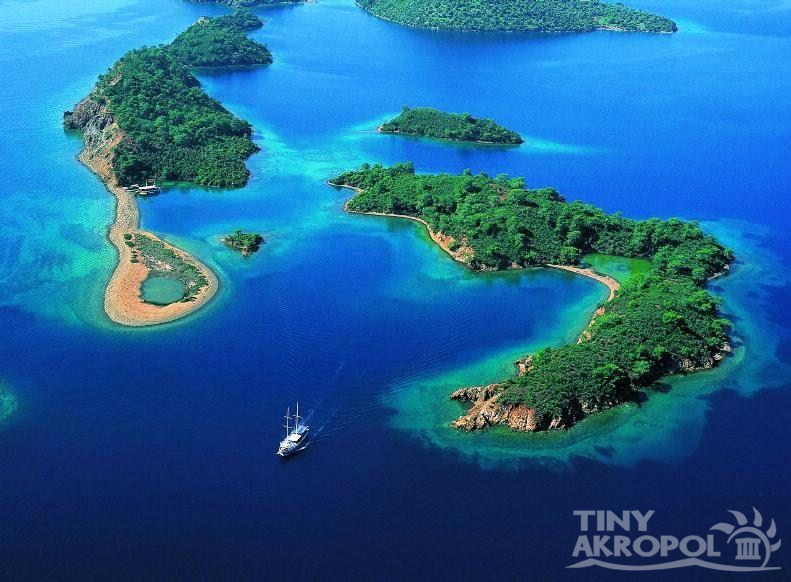 The rest of the day is spent at small bays and islands in the beautiful Göcek area. Today is spent cruising the other part of the Göcek Bays, or according to the weather conditions, a direct pass to the Ekincik Bay. The overnight is spent in the natural bay at Ag Limani or Ekincik. Setting sail after breakfast, there’ll be time for swimming and a leisurely lunch at Turunç Bükü or at beautiful Cennet (Paradise) Island, before arriving in Marmaris for dinner and the night. After breakfast in Marmaris, it’s time to bid farewell to your shipmates, gulet & crew.